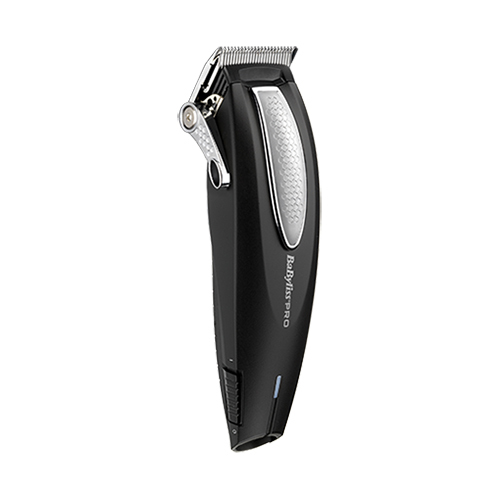 The V-Blade Lithium is a cord/cordless professional clipper that features Japanese steel blades with a unique super sharp V cutting angle for ultra-smooth, ultra powerful cutting and a high quality even finish even on longer hair lengths. It is lightweight for easy handling and can be used with mains power or cordless for total convenience and control. Lithium-ion technology gives sustained power performance for reliable cordless use, even at lower charge levels and will run for 75 minutes with no loss of power when fully charged. The BaByliss Pro Precision Stylist Tools grooming range has been developed to the highest standard for outstanding quality to guarantee superior cutting performance in a demanding professional environment.